It is hard to imagine a subtitle of a book revealing that much of the actual content. The motorsport of the 1960s was a wild and crazy era. Austrian Erich Glavitza was part of it as a journalist, amateur driver and as one of the stuntmen of the Le Mans movie. In this book, he tells the stories that others do not dare to tell. For example, how he and Jochen Rindt had a life-threatening close call when playing around with a Ford Mustang. A very humoristic book on a crazy and unforgotten era. Everything seemed possible in that era. Nobody revealed the stories that remained covered for decades. In ‘Vollgas oder Nix’ Erich Glavitza uncovers some stories, and you’ll be surprised. Have you ever heard about the Bond-Girl Diana Rigg, that learns to drift a 400PS Mercury-Cougar? Or stories about the legendary ‘Le Mans’ movie with Steve Mcqueen, that others decided not to tell. All this.. and much much more revealing stories are your part when reading ‘Vollgas oder Nix’. Are you interested in stories about the wild and crazy life of the racing world back in the sixties? No doubt you’ll enjoy the book when you master the German language. Keep in mind that there are mistakes in the book, which may annoy you: We all know Hans Herrmann is spelled wit RR and NN. Something Erich Glavitza seems to forget. 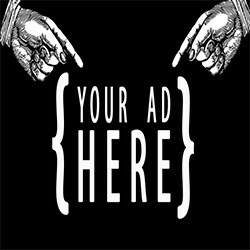 Another minor negative point in our opinion: the advertising in the book. But that doesn’t mean we didn’t enjoy the book. 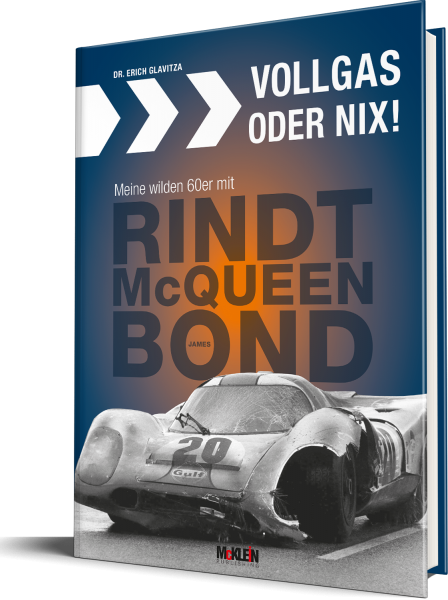 Conclusion: ‘Vollgas oder Nix’ is a fantastic motorsport storybook in the German language, that deserves to be translated in English. The book can be bought directly at the publisher McKlein Publishing.